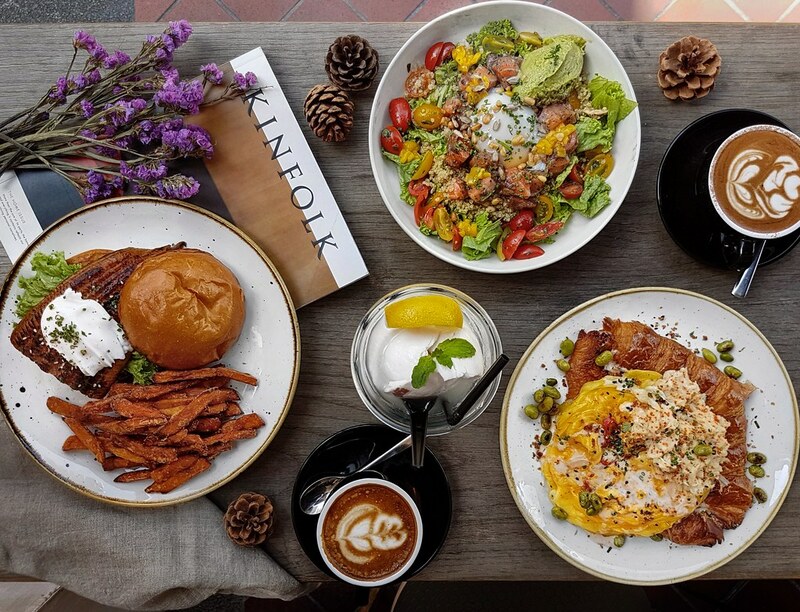 Opened a mere 5 months since the successful launch of sister outlet Ninja Bowl, Astronaut Group's second venture, Ninja Cut has made quite a name for itself over the year with an extensive, ever-changing menu of all-day brunch offerings, robust meats and fresh seafood dishes. As it hits its one year hallmark of operations, a whole new slew of Hawaiian inspired dishes are introduced in celebration of its one year anniversary, with ingredients thoughtfully sought out and put together to curate items infused with a taste of Polynesian food in America. Available for a limited time only, before they ninja away to a different themed menu inspired by another country all together. 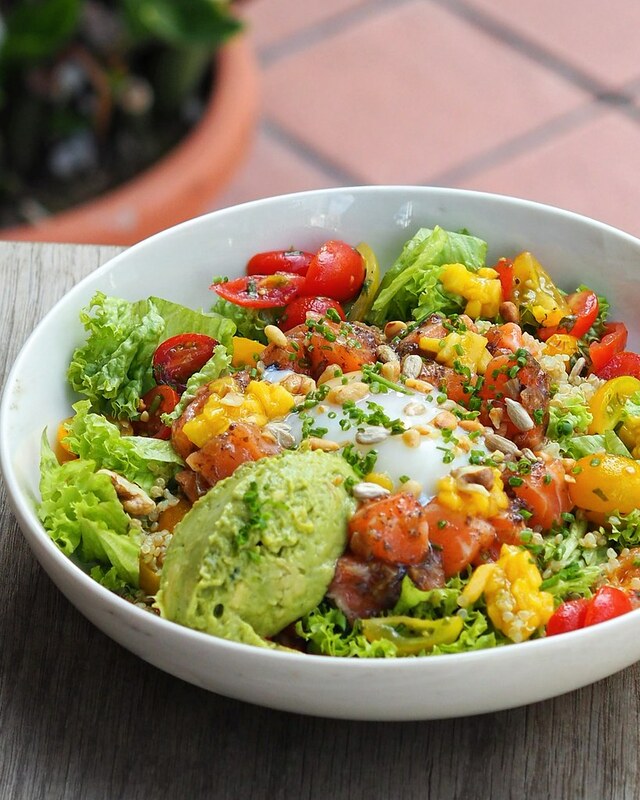 The Moana Love ($18) allows diners to choose between salmon or tuna, and a choice of truffle yuzu or spicy lime cilantro sauce on a bed of green coral lettuce, mashed avocado, mixed with mango bits, cherry tomatoes and mixed nuts. I opted for the salmon with truffle yuzu sauce with an addition of quinoa rice. Gently poke the onsen egg and let the runny yellow coat the rest of the ingredients sitting below as you mix everything in. The addition of mango bits lends a subtle sweetness, while the mild truffle yuzu aroma further enhances the dish with a refreshing zesty twist. The Moana Love is a gorgeously presented dish featuring a medley of colours and flavours. An ideal and delicious option for the health-conscious. And besides, what’s a hawaiian menu without some poke? The Maui Dream ($22) comes in a generous serving of jumbo crab lumps with mentaiko sauce cream, cheese scrambled eggs with a very subtle kick of chilli spice, and tobiko served on a perfectly toasted croissant. 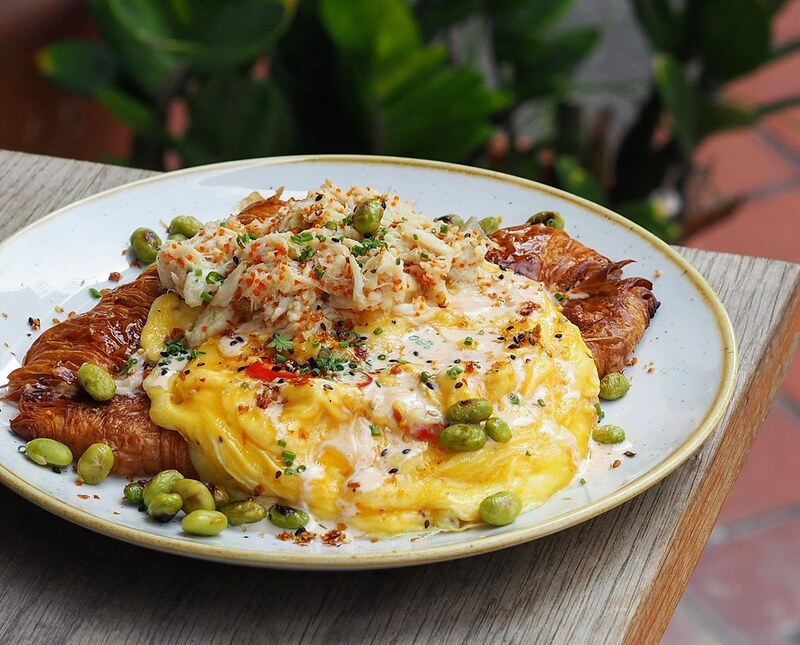 Definitely an indulgent brunch fare pairing those soft and fluffy eggs and tender mentaiko crab lumps with a crispy buttery croissant. Taking inspiration from the large number of Japanese residing in Hawaii, the Unagi Burger ($22) was created with an infusion of the japanese element. 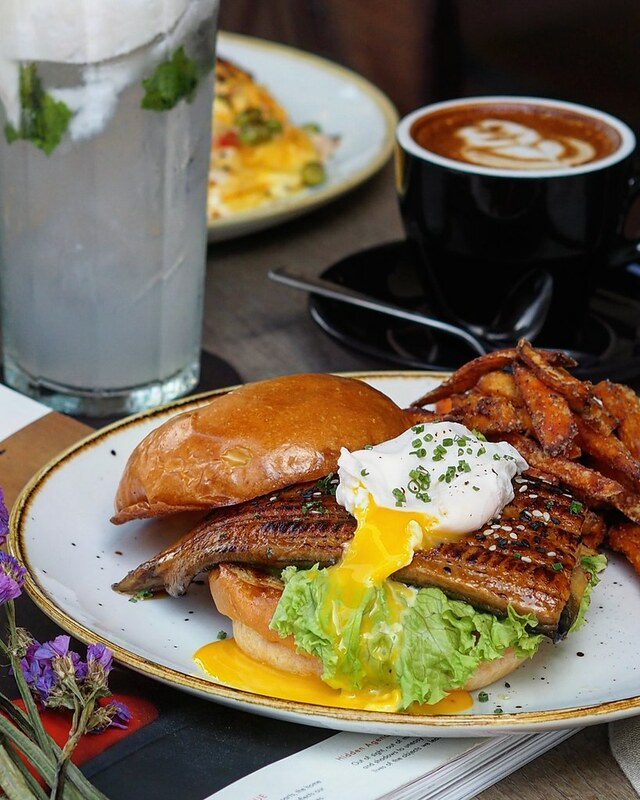 It features a large slab of char-grilled unagi in between brioche burger buns, with smashed avocado and an onsen egg. The unagi boasts an extremely soft, melt-in-the-mouth texture, flavorous with a smoky taste. It is an ingenious pairing with the soft and fluffy burger buns, which were buttered on the underside to add a subtle sweetness to the dish. The side of sweet potato fries were executed excellently as well, crispy with a distinct sweet potato flavour. All the Hawaiian inspired dishes served fared well but this Unagi Burger is hands down my favourite. 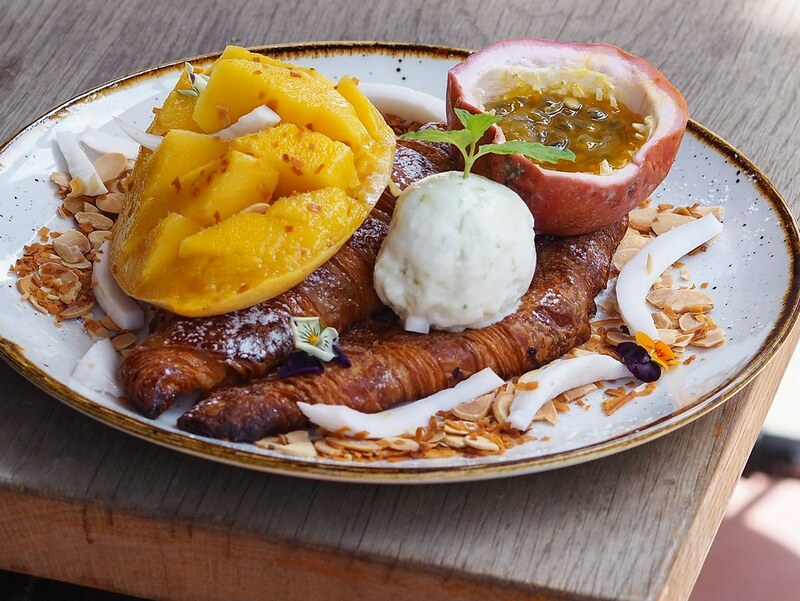 End the meal on a sweet (and zesty) note with the Happy Hula ($19) which comes in a crispy buttery toasted croissant, topped with fresh mango, fresh coconut meat, passionfruit honey, a scoop of smooth and creamy coconut-pineapple ice cream, and sprinkled with toasted coconut flakes and almonds. A mix of mangoes, coconut, passionfruit and pineapple plays out a perfect balance of sweet and sourness, and creates a refreshingly unique combination that I really enjoyed. Constantly innovating and crafting new dishes through experimentation on different ingredients to dish out unique combinations that actually work out, Ninja Cut continues to excite tastebuds and surprise customers from time to time with their creative ideas and brilliant executions. After its much lauded previous menu, Ninja Cut continues to raise its bar and set expectations several notches higher with each visit. I reckon their next inspired menu will fare even better, but these impressive Hawaiian inspired specials are definitely something not to be missed.